Chemical resistant gloves must provide comprehensive protection against three types of hazards: permeation, penetration and degradation. 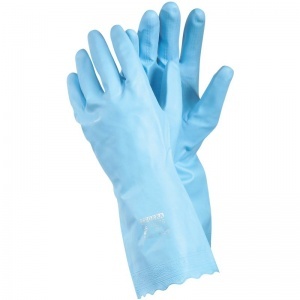 The Ejendals Tegera 8180 PVC Chemical Resistant Gloves are PVC work gloves that provide protection against chemical hazards. Comfortable and flexible, the Ejendals Tegera 8180 are suitable for various medium work applications. The Ejendals Tegera 8180 provide protection against contact with dirt, contact with moisture and contact with damp. 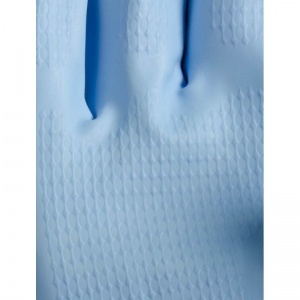 The Ejendals Tegera 8180 Gloves are supplied in a flock-lined blue design with a diamond grip pattern for improved handling. 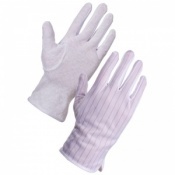 The product code for these gloves is 8180. The Ejendals Tegera 8180 are offered in four different sizes, the dimensions of which can be found below. To measure your hand, measure the circumference of your hand around the knuckles (excluding the thumb) with your hand open and your fingers together. I have been buying these gloves for some years now. 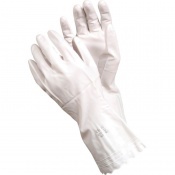 Many household tasks affect my skin and these gloves protect my hands very well. they are tough and last a long time but there is still a sense of feel with them.